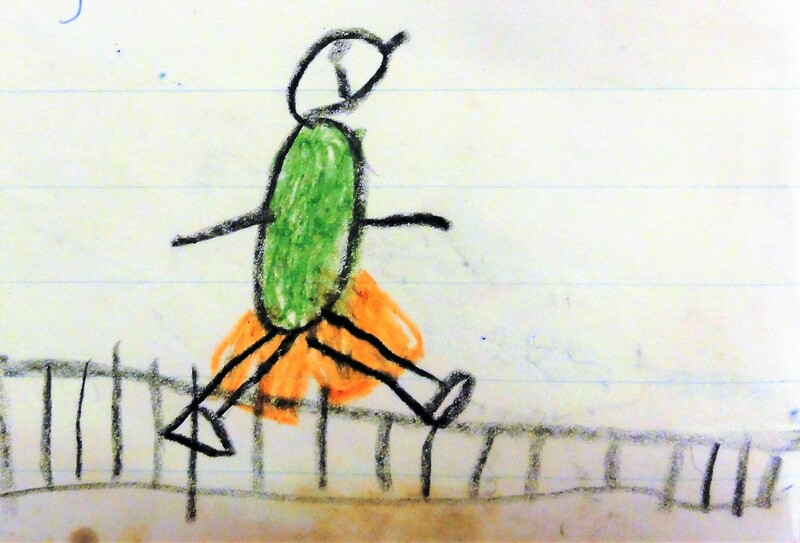 “I WALK” – poem by Dennis Mealor 2018 – drawing, Dennis Mealor age 6. 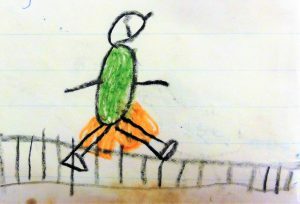 Category: Miscellaneous / Tag: I Walk, poetry / Comments Off on “I WALK” – poem by Dennis Mealor 2018 – drawing, Dennis Mealor age 6. I walk the road it was so long. Could not believe the pavement song. I never knew the Walker’s Creed. Are always waiting to be known. Are gripped with grief and in the cold. To lift their game, to lift it high. The chaff from treasure, the shite from shine. I’ll never know what choice is mine.